The Jinx: The Life and Deaths of Robert Durst is a HBO crime-drama Documentary Miniseries. The first episode was aired on HBO on February 8, 2015. To this date, this miniseries has 6 episodes. It is based on the life of Robert Durst. And, fans have been asking: Is The Jinx on Netflix? This 6 part documentary revolves around Robert Durst. It explores still-unsolved 1982 disappearance of his wife and subsequent murders of a family friend and a neighbor. It contains an extended interview of Robert Durst himself. Other than the interview this documentary contains police files, witnesses, private recordings and secret documents. This series has won many awards for its directing, editing and sound mixing. This series has won 2 Primetime Emmy Awards. In total, the series has 7 award wins and 5 award nominations. It is also #53 Top rated TV show right now which is awesome achievement for a new miniseries. I assume you are here because you did not find The Jinx on Netflix. Because The Jinx is not available on Netflix. Why isn’t The Jinx on Netflix? 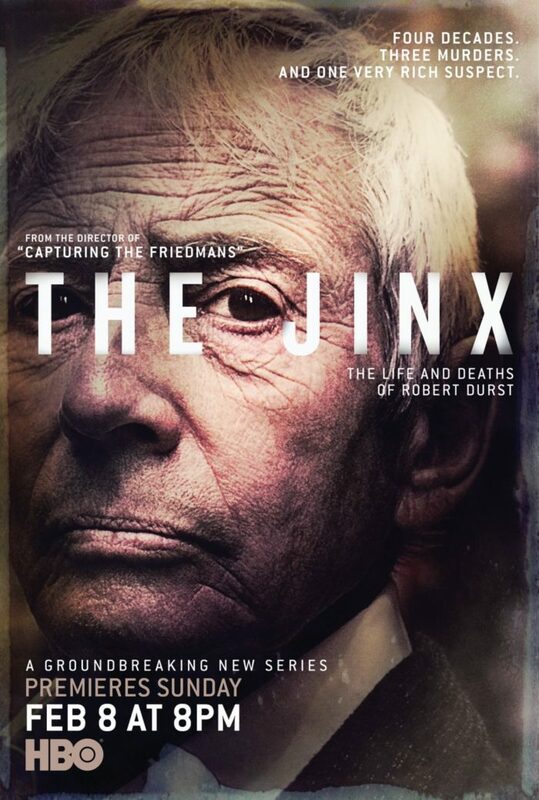 The case of The Jinx is similar to the case of Game of Thrones on Netflix. Netflix and HBO are in direct competition in on-demand video streaming business. The Jinx miniseries belongs to HBO and the network will never allow Netflix to stream this series. It means you will have to buy either a HBO now or a HBO go subscription to watch this show. So, The Jinx is not available on Netflix? The Jinx is not available on Netflix instant. However, it is available on Netflix DVD service. You can sign up for just $4.99 a month. Anyway, here is the Wiki page of The Jinx series and let us know your views about this HBO miniseries. We welcome question and comments from you.